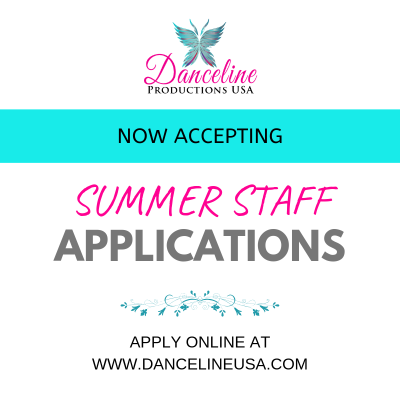 Although having the gift for dance instruction, choreography and leadership skills are all necessary requirements to be on the Danceline staff, our most important priority is that all of our staff members are Christians. We were founded as a Christian based company in 1978 and continue to strive for that level of excellence today. Because of our company's strong foundation, it is extremely necessary that all of our staff have a common faith in Christ in order for our company to meet the challenges put before us. Please consider this aspect seriously before you apply to be a staff member. Your faith should be apparent in the manner in which you conduct yourself at all times. To this end, instructors must be at a level in their walk with God to easily and naturally share and minister to the dancers we instruct. It is important that you are familiar with our goals and core values. Danceline is not just about teaching dance, it is about investing in each and every dancer and director that comes to our camps. Our company is dance...with a purpose! This position is for those who are available to teach at are various Summer Camp locations. You must be at least 18 years of age, have dependable transportation and be seeking a degree in dance or have a dance degree from an accredited University. This position is for those who are seeking to help us during the competition season from the months of February to March. You must be 18 years of age, have dependable transportation and have at least 3 recommendations. This position is for those seeking to be a part of our adjudication panel for the competition season in the months of February and March. A resume must be submitted with application.